2014 marks an important milestone for L’Occitane Malaysia as they are celebrating 10th beautiful years. 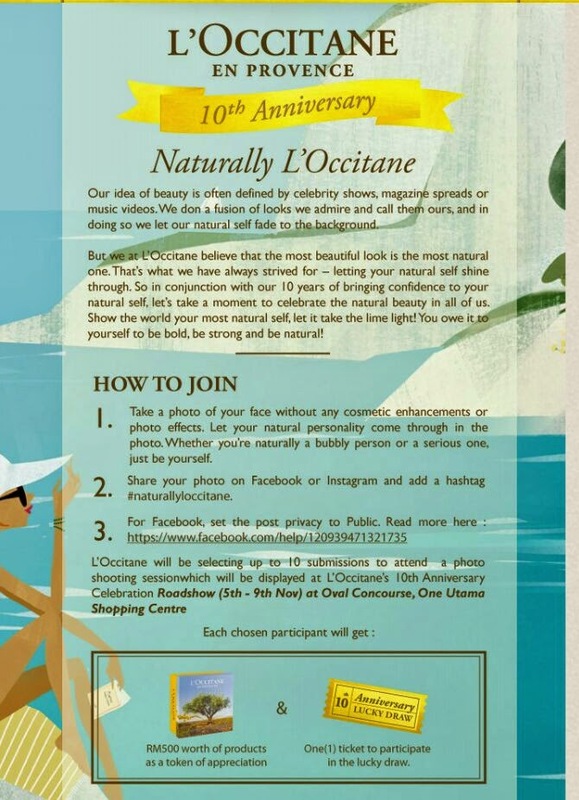 To make this events even more meaningful, there are many interesting activities lined-up and to kick-start this, they have the #naturallyloccitane 10th anniversary photo contest which can grant you a chance to win L’Occitane Gift Sets & 1 ticket to participate in the lucky draw. 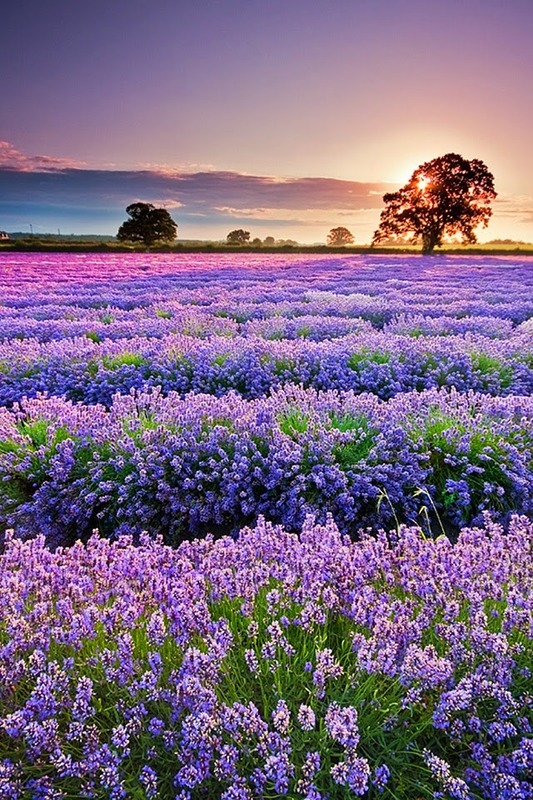 Guess what, the grand prize is a trip to Provence, France like the picture above... and the view is so breathtaking !!! This is my dream holiday! L’Occitane thinks that often our idea of beauty is often defined by celebrity shows, magazine spreads or music videos. We do a fusion of looks we admire and call them ours, and in doing so we let our natural self-fade to the background. However L’Occitane believes that the most beautiful look is the most natural one. It can be any angle, do limit yourself to just selfie. That’s what L’Occitane has always strives for – letting your natural self-shine through. So in conjunction with their 10 years of bringing confidence to our natural self, let’s take a moment to celebrate the natural beauty in all of us. Show the world our most natural self, let it take the lime light for once. You know you owe it to yourself.